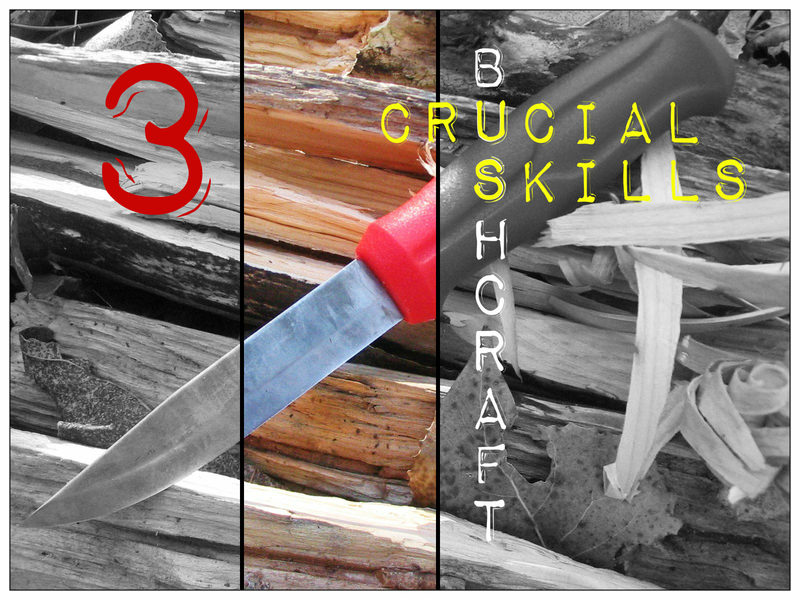 No matter your level of bushcraft skills, there is always something new to learn. Native populations had many skills but were much more isolated than we are today. Some may have developed skills that others even nearby may never have learned. Sharing skills and the way we do things can help everyone be a better prepper. There is a lot more to selecting a good camp spot than just picking an idyllic looking place. I have seen camps set on rocky, windy points just for the view. Pick a shaded and sheltered spot. Staying out of the wind is a high priority if you want to stay warm and cozy. A windy spot will cut down on insects and if you are in a hot muggy climate a nice breeze is a definite plus. But overall a protected spot will be better. It will keep you safer in case of a storm and out of the sun on hot days. Also be aware of which way the prevailing winds blow and prepare for that. Avoid valley bottoms. Cold air sinks, so if you are in the mountains it will be much colder in the mornings in the bottom of the valley as opposed to a little ways up the hill. Avoid camping right next to a stream. It is nice to fall asleep to the sound of running water, but there are some disadvantages. First that sound will mask the sounds of anyone approaching. It might sound paranoid, but I don’t like people sneaking up on me, especially in the backwoods. People like to walk and fish along streams, so you might have hikers and fishermen traipsing continually past your camp. You also need to make your latrine even farther away from your camp to avoid polluting the stream. And finally, streams are in usually in the bottom of the valley, so it will tend to be colder. Watch out for widow makers. These are larger branches or even trees that may fall on your camp in a storm. Different trees in different parts of the country seem to weaken and break off, or even topple over in high winds. These are all up to your personal taste but they should be considered when you pick your spot. Before you go into an area you should have an idea of where the major landmarks, such as rivers and highways are. Learn that if you head in X direction you will eventually end up on XYZ river and that will take you someplace you can get help. Once while deer hunting in Colorado, I shot a nice buck over a ridge about two miles from my truck. I started down a draw that I thought would connect with the valley my truck was parked in. I figured I would hit the road and walk up it to my truck and drive to town for help in packing out my deer. Long story short, the draw didn’t connect, but I knew if I kept going down I would hit the highway eventually. When I finally got down and hitched a ride back to my truck it was 10 miles from where I came out. The point being I knew how to get out because I knew the major landmarks of the area. You can find North without a compass by sticking a short stick in the ground and marking the tip of its shadow. A few minutes later mark it again and so on until you have a line of dots that is marching East. I have one word for staying warm in the field and it is old and low tech. That word is “wool”. If wool wasn’t a natural product it would be touted as a marvel of invention. It retains much of its insulating value even when it is wet. Don’t try that with cotton. It is highly fire resistant. I have seen way too many holes burnt in expensive synthetics just by people sitting around a fire. Wool will even breathe when you get sweaty with cold weather exertion. Even if it does get soaked with sweat, it stays warm. I recommend getting wool socks for your feet, wool pants for your legs, a wool coat for your body, a wool hat for your head along with a nice wool scarf for your neck and ears. If you are packing a bug out bag, a wool blanket is a smart addition. Two or three will replace a sleeping bag in the coldest weather. These are just a few tips that I have found helpful in my journey, and I hope they help you too. This entry was posted in Bushcraft, Outdoor Survival and tagged bush craft skills, bushcrafting on August 12, 2014 by David Adams.